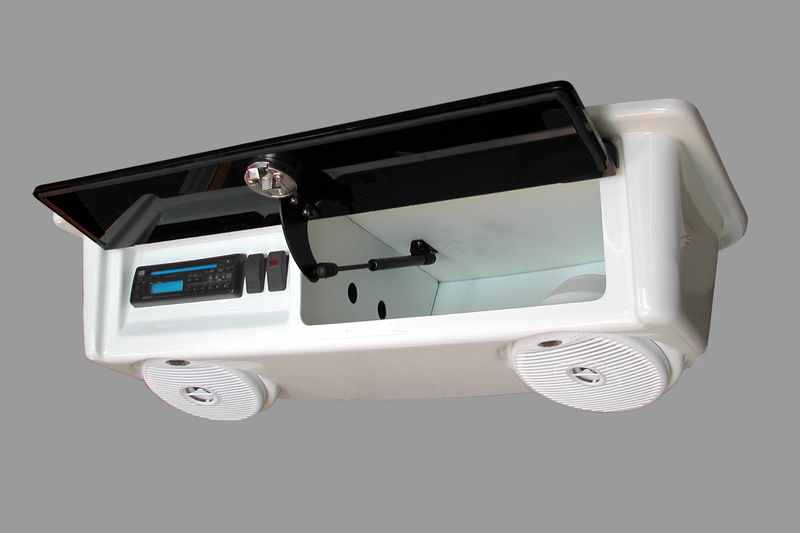 Canvas, curtains, enclosures and covers are offered as an option by most boat manufacturers. 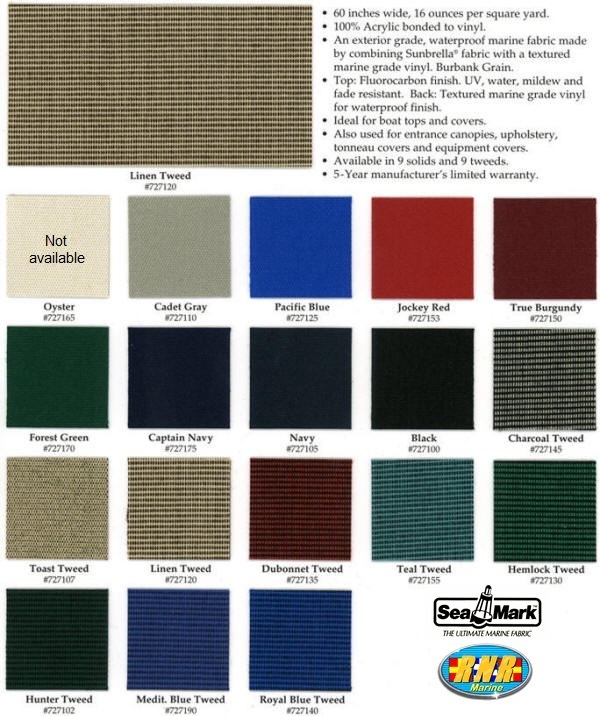 This canvas is made for the boat manufacturer by an Original-Equpment-Manufacturer (OEM) and sold with the boat by the boat dealer. The boat dealer is able to provide the factory orignal canvas for your boat from the boat manufacturer (or OEM) when its new and for several years thereafter. 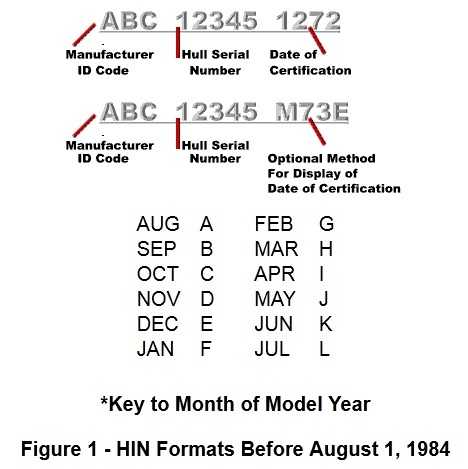 After a few years, many dealers no longer carry or have access to the OEM canvas (or the dealer or boat manufacturer may have closed or not be close by). 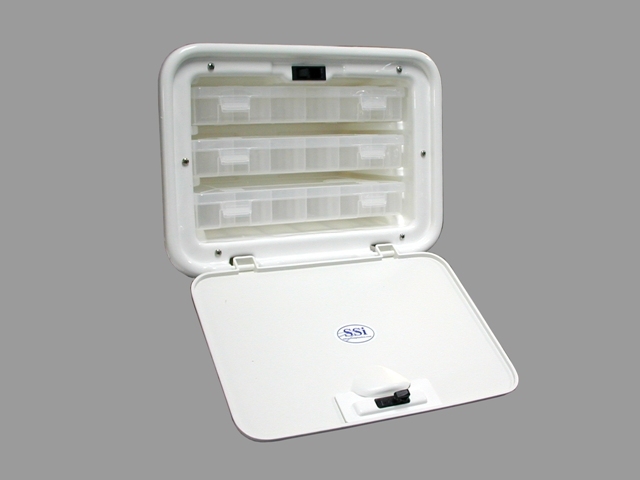 RNR-Marine™ offers the OEM canvas for hundreds of thousands of boat models back to the 1990s - available online for purchase and typically shipping within one to three weeks. All of our canvas is made in the USA (and always has been) using American made fabrics. 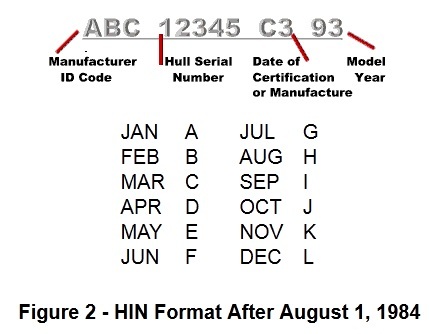 This is the Factory Original-Equipment-Manufacturer (OEM) Canvas offered from the factory (or through your boat dealer) with your year/model boat. 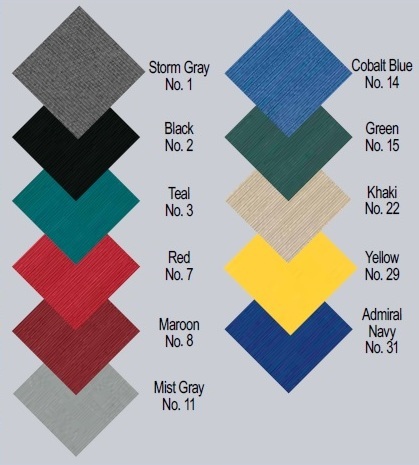 Our OEM manufacturers made that canvas, and we have the patterns to make brand new canvas to your specific order (any color and trim) using brand new Sunbrella®, Weblon®, Stamoid®, Aqualon® or Vinyl marine fabric. 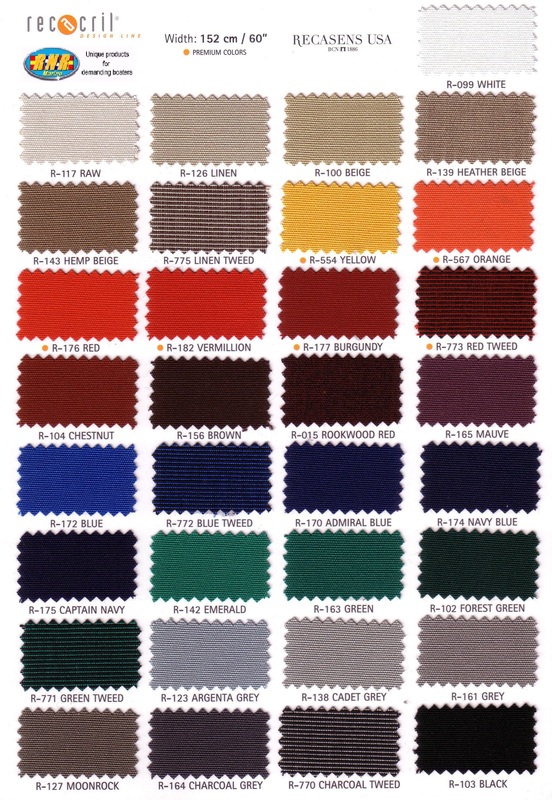 We have the exact Factory (OEM) pattern (we have 10,000's of patterns) that was originally used to make the Factory Original-Equipment canvas for a perfect fit. Many canvas shops offer "factory replacement canvas", but they do NOT have the original factory patterns like we do - they usually take your old canvas (which we made to begin with) and try to copy it. This is costly and hard to replace when it wears out. We recommend using the boat/model search at the top or right of the page to find canvas and covers for your boat! 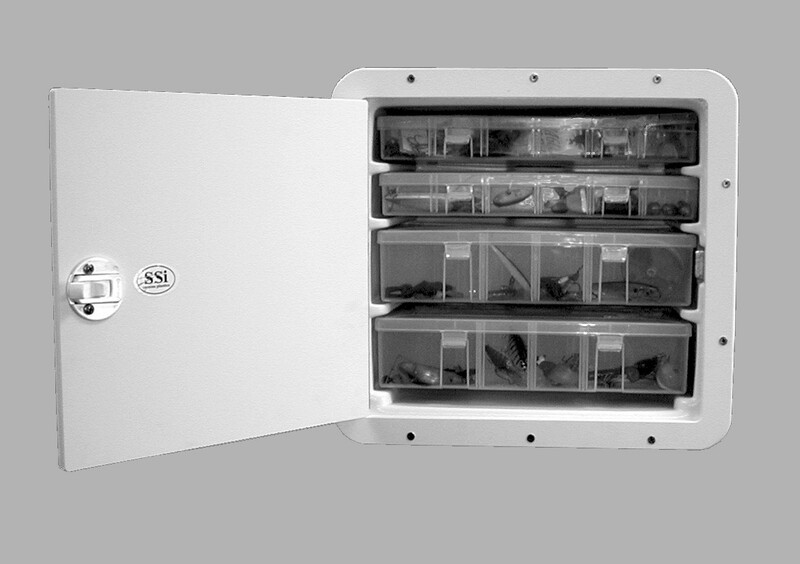 SNADs® are one of our favorite things! 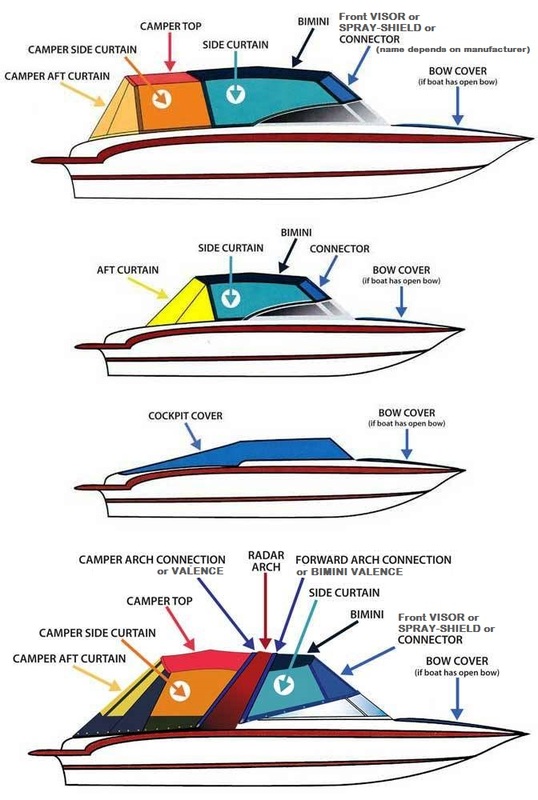 Side and Aft Curtains often require that snaps be installed on the boat. 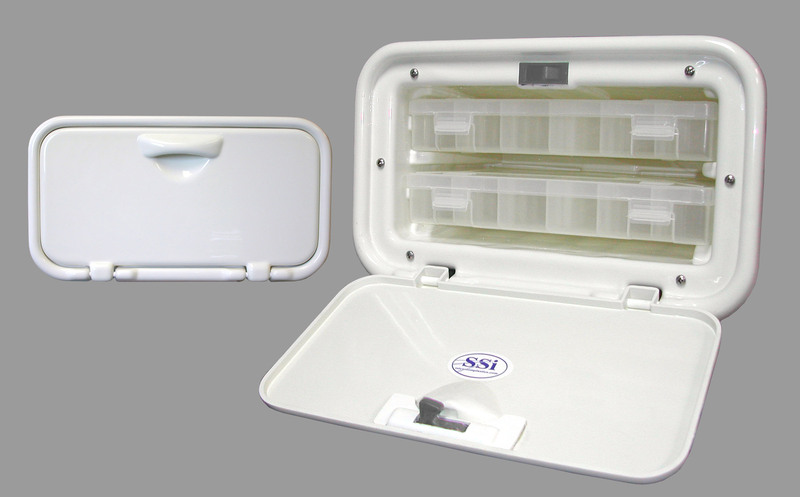 We hate drilling holes in boats, so we offer SNAD® adhesive backed snaps. 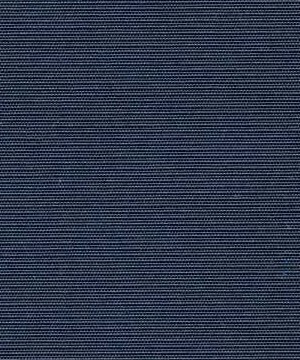 These patented SNAD® snaps are made by YKK®, who is the largest manufacturer of zippers in the world. YKK® teamed up with 3M® to make an adhesive backing that really sticks! We love them, and you will too. They can be used on new installations, to cover old snaps that have pulled loose or on aluminum frames to avoid drilling holes (and galvanic corrision). 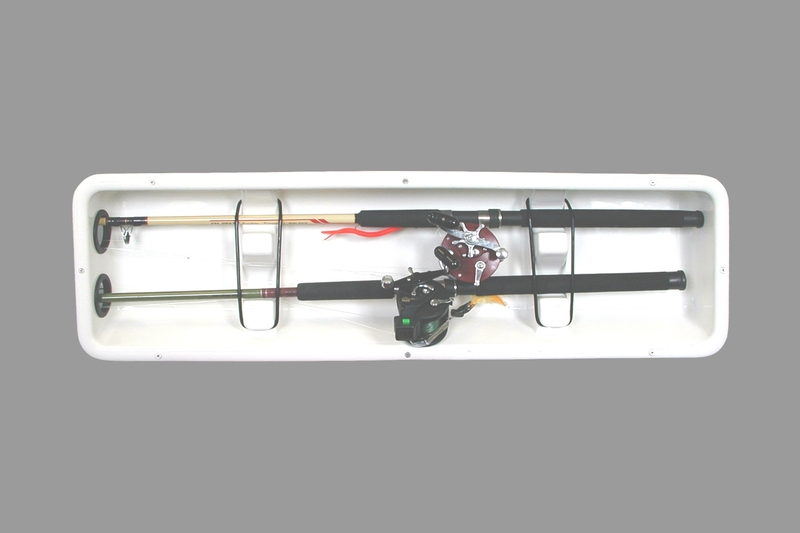 Build into gunwales or cabinets on boat for secure, easy storage of tackle. 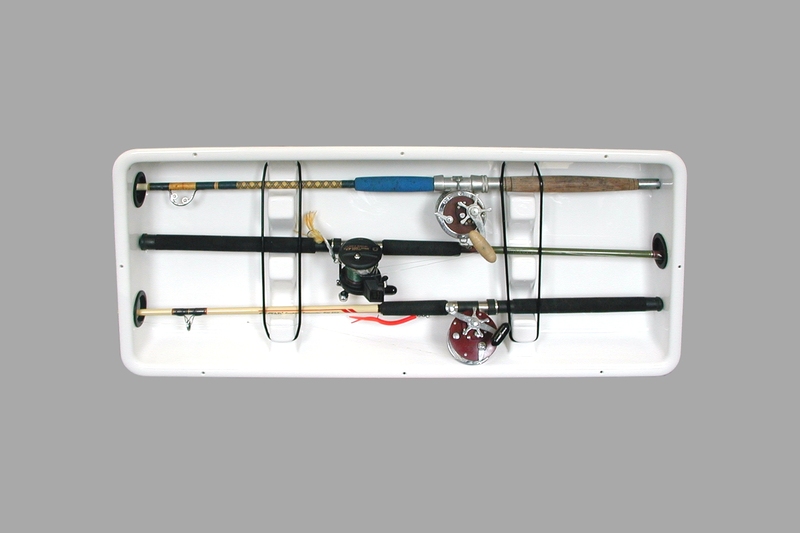 Built-in rod boxes mount in boat's gunwales. 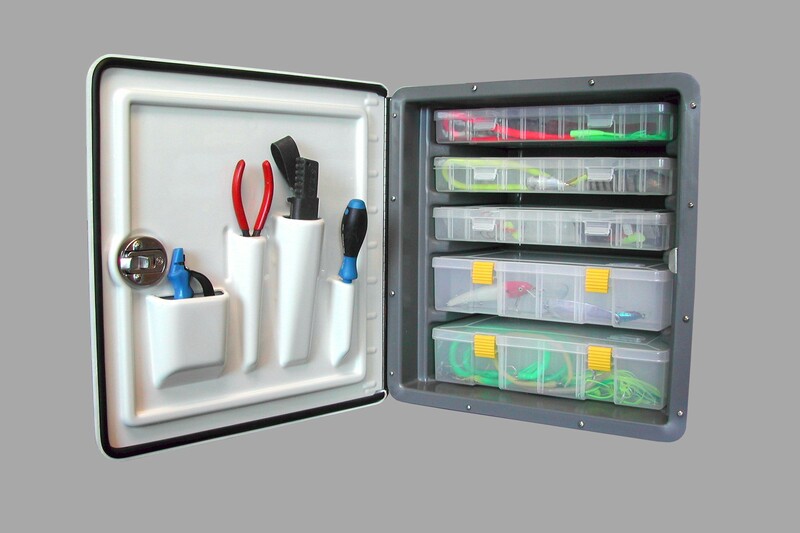 Mount to hardtop or framework in T-Top to securely store your electronics out of the spray. This IS NOT "New Old Stock" (NOS) Canvas that has been sitting on the shelf for years! 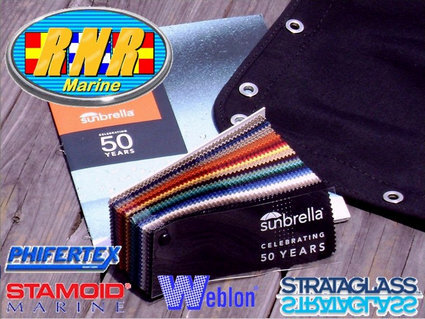 We offer Brand-New Factory Canvas Made to Your Order using the original Factory Original-Equipment (OEM) patterns and Sunbrella®, Weblon® Top Gun® or Stamoid® fabric specified by the boat manufacturer for your boat. We offer Brand-New Factory Covers Made to Your Order using the original Factory Original-Equipment (OEM) patterns and Sunbrella®, Sharkskin®, WeatherMax®, Elite® or Poly/Cotton Duck fabric specified by the boat manufacturer for your boat. 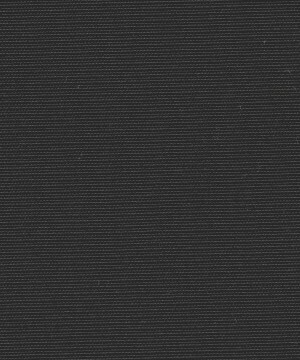 We also offer after-market "Exact-Fit" Covers using Sharkskin-Plus fabric measured to fit 1,000's of other boats which we did not make the OEM covers for. "Capt Ross rocks! 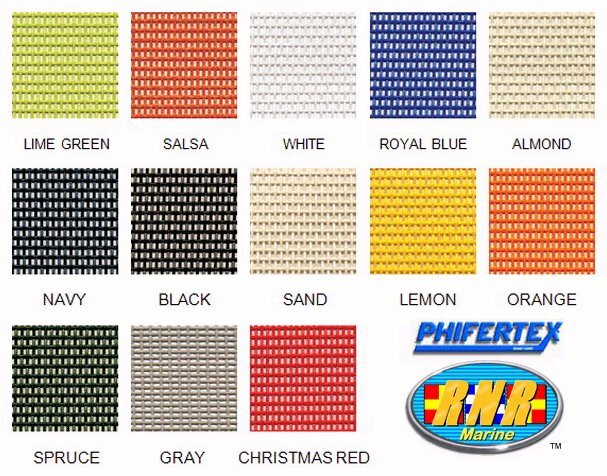 They [RNR-Marine] made me a custom [color] cargo/PFD net for under my t-top and it fits perfectly!" http://www.thehulltruth.com/boating-forum/366704-sea-hunt-factory-spray-shield-cost.html "Just replaced the Bimini, front shield and curtains on my Mariah with RNR-Marine's original canvas. Fits just like the old ones and the boat looks beautiful again!" - Bill, FL, 2004 Mariah® SC21 "RNR-Marine out of Mt. Pleasant SC just cut new t-top canvas for me and also replaced the vinyl in my spray shield. I couldn't have asked for better work or a quicker turnaround on the job. http://www.thehulltruth.com/boating-forum/433891-new-replacement-curtains-mhc-area.html "Added the side curtains to my Sea Pro 210WA. What a difference! Saved a lot over what the local canvs guys wanted to pattern it custom, and they fit perfectly!" - James, VA, 2001 Sea-Pro® 210WA "Installed my new sprayshield this week. The Sea Pro 206 is a REALLY wet ride. I was running side by side with a 17 Boston Whaler and getting no where near as much water in the face. Fortunatelly the sprayshield was there. I also had a lot of compliments loading the boat about having a shield. Surprisingly I've never seen a sprayshield down in Galveston." A local canvas shop will need to measure your boat or canvas, create a pattern from scratch and custom make a canvas for you. This costs more than simply making a canvas from an existing, proven pattern. For example, a local canvas shop typically charges $10 to $15 per square foot for a replacement T-Top canvas. A typical aluminum T-Top is about 5' x 8' = 40 square feet, which amounts to $400 to $600. 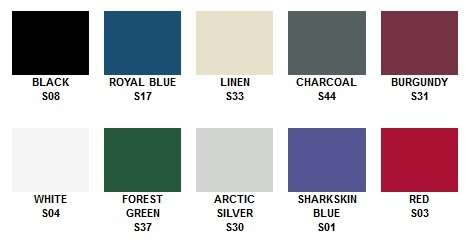 Add state and local sales tax (6-12% ... RNR-Marine™ doesn't collect sales tax for mail order) for a total of $425 to $675 total at the local canvas shop. plus $19 shipping and NO sales tax in 49 states (except SC).